 Home › Politics News › Churches, Mosques In Oyo State To Now Pay Levies.. Brother Siaka Why? Churches, Mosques In Oyo State To Now Pay Levies.. Brother Siaka Why? 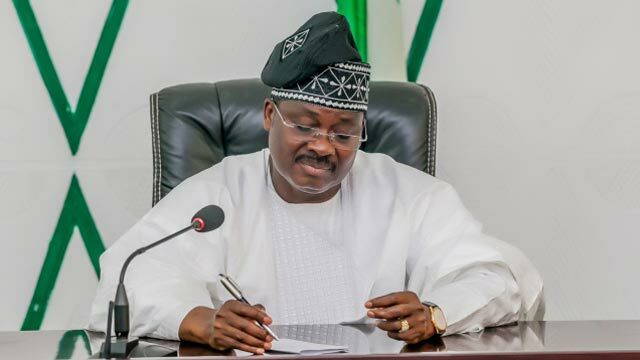 Governor Abiola Ajimobi of Oyo State has introduced levies on churches, mosques, and other business organisations in the state. These levies, according to the state government, were imposed as part of efforts to generate funds to assist security agencies. The categories of these levies were contained in flyers made available to journalists at an emergency meeting convened by the state government which was held at the House of Chiefs, Parliament Building, Secretariat, Ibadan on Tuesday. At the meeting were the state commissioner of police, Abiodun Odude; representatives of the GOC of 2 Division, Nigerian Army, Odogbo Ibadan; police area commanders, DSS, Customs, NSCDC, NDLEA, chief executive officers of banks and representatives of Manufacturing Association of Nigeria. The flyers seen by reporters indicated that religious bodies in class A are expected to pay N60,000 while manufacturing and services in category A are to pay N100,000 annually. The approved levies for class A (Large) in the manufacturing sector is N100,000 while class B (Medium) is N80,000 and class C (Small) is N60,000 annually.